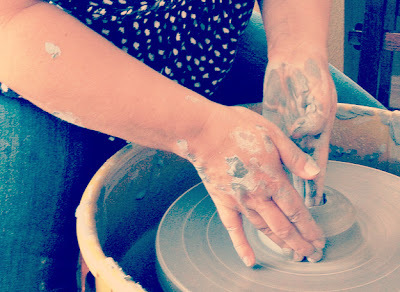 In the fall, I stopped posting my Monday Mixtape posts in favor of a more personal weekly series promoting independent art-makers. That series Buy More Art has been fun and I'm looking forward to starting the series back up in August or September. Still, I miss being able to share with you the daily bits of song and story and craft I'm enjoying that was the original intention for Monday Mixtape. I stumbled onto a fun blog link-up hosted by Hopeful Leigh. I think I've found the happy second generation of Monday Mixtape -- so ingenious it birthed two spin-off series: a bi-weekly Buy More Art post and a monthly What I'm Into Lately. 12 One Hundred Demons, written and illustrated by Lynda Barry (Sasquatch Books, reprint edition 2005) - May was moving month (again) so I stocked my nightstand with easy reads. For many reasons, this book probably would have never made it home in my library tote had I not seen it quoted in the daily asterisk*. Plus, I liked the idea of reading a book categorized (by the author) as "autobiofictionalography." The book collects 20 cartoon narratives originally featured in Salon's Mothers Who Think site. 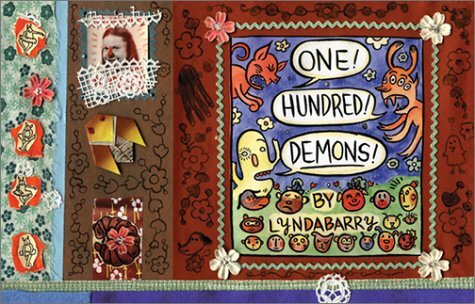 The title was inspired by the author's discovery of an Asian painting exercise (called, uh, One Hundred Demons) which connects each story as a series of "demons" Lynda Barry wishes to rid from her life. For example, old boyfriends, lost childhood friendships, embarrassing family moments, and even the 2000 "hanging chad" elections. Barry's drawing is awkward but funny, her writing voice sad but sweet. 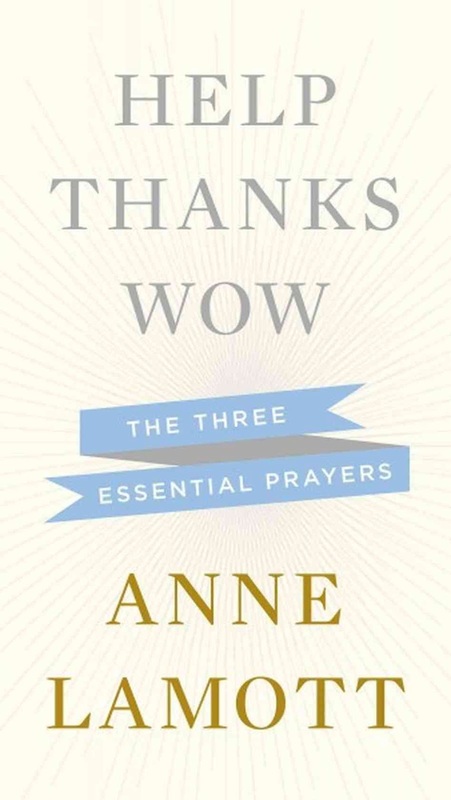 13 Help, Thanks, Wow: The Three Essential Prayers by Anne Lamott (Riverhead Hardcover, First Edition edition 2012) - I didn't plan to read Anne Lamott and Lynda Barry together in the same month but, in retrospect, they'd make interesting companions in real life. Maybe Barry should offer to illustrate some of Lamott's stories. That so, so did not work for me, especially in the dark in a strange home. Don't be taking my soul. You leave my soul right here, in my fifty-pound body. Help." But the woman can write, Anne Lamott, he can write. (sorry, couldn't help myself). And the idea of breaking down our prayer life to three essentials is a beautiful meditation: Help, Thanks, Wow (or wowowowowow, in the reverberating sound the author helps us imagine). I'm glad I read this book. I'm glad Anne Lamott is a writer and someone who loves God and people. 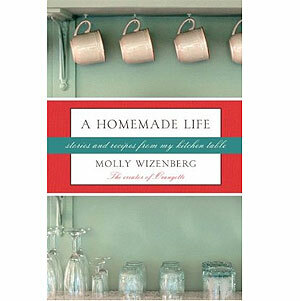 14 A Homemade Life: Stories and Recipes From My Kitchen Table by Molly Wizenberg (Simon & Schuster, 2010) - This is a library book that I read and want to buy. Partly because I want to try the recipes at a leisurely pace. 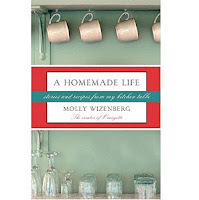 Partly because I loved the way the blogger-turned-author wove memoir with how-to, literary and easy-to-read at the same time. I'd like to write a book with the same feel someday. Since I only bake twice a year, I'll have to figure out something besides recipes, though. Mostly I want to own this book because it's simply beautiful. 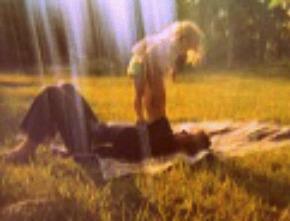 My father woke up each morning wanting that day. You could see it on his face. He was the one at the end of the table, laughing so hard that his round face split open like an overripe watermelon and his fillings shone darkly like seeds. He laughed so hard that he gagged a little and pulled out his handkerchief to wipe his mouth. He knew what he had, and he loved it. He could have taught me a lot of things. We'd hardly begun. But I have his recipe for potato salad, and when all else fails, it's a place to start. 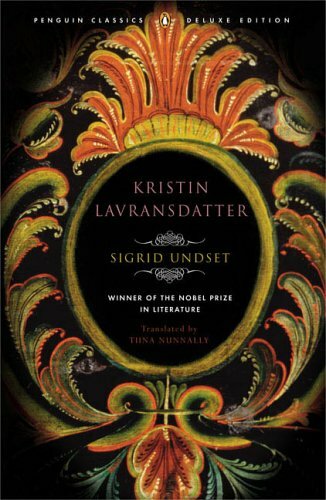 15 Kristin Lavransdatter by Sigrid Undset (Penguin Classics, 2005 edition) - I began the first of this trilogy, The Wreath, with the book club in our church. The idea being we'd read together one part of the trilogy for each month in summer. When I picked it up at the library, I was a bit overwhelmed by its heft, and it took me a few chapters to warm up to the characters, setting, and tone of Kristin's story. After missing the book club gathering -- but completing the first nove -- l I'm still a bit ambivalent. While I've begun to appreciate the setting (admittedly painted in my mind a bit like an Elsa Beskow postcard) I've continued to be more aggravated than engrossed with the relationships between the main characters. "Set in fourteenth century Norway, Kirstin Lavransdatter portrays the clash between feudal violence and christian piety, traditional imperatives and the individual conscience" says the book jacket. "It's sort of like a 14th century Norwegian Jane Austen story" says I, describing the title to a friend last week. I'm glad I read The Wreath. As much as I'd like to feel the accomplishment of completing all 1124 pages, I'm not sure I can go the distance with the Daddy's-girl-marrying-the-scoundrel protagonist for two more. 16 Memories of a Catholic Girlhood by Mary McCarthy (Heinemann, reprint 1957) - My friend Micha recommended this memoir recently. 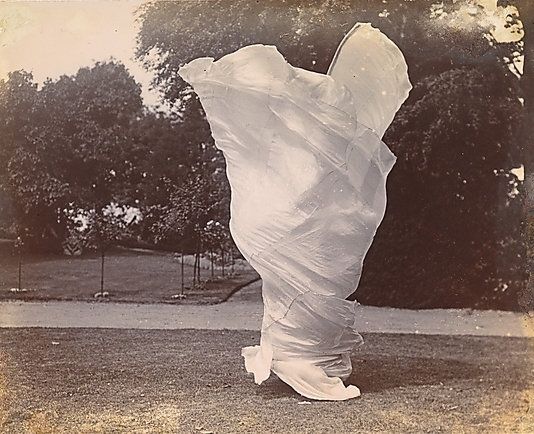 I'm intrigued by the memoir as a genre, fascinated by the different forms it can take. For example, Ms. McCarthy sets up Memories of A Catholic Girlhood acknowledging the various ways truth can be reshaped in writing the story of one's life; an author might forget the particular details and need to create them in order to fill in the blanks of her story or she may just want to change the details because it makes the story more fun. 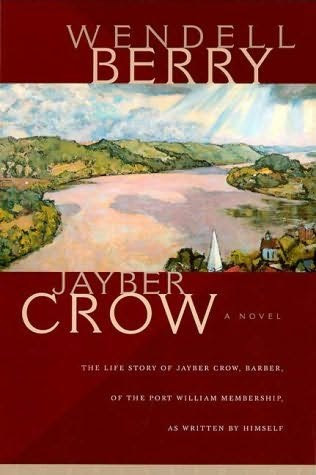 In this author's case she followed each chapter of her story with a chapter setting the record straight. At first I found this admirable, but at some point I began to resent the interruptions to the flow of reading her story. 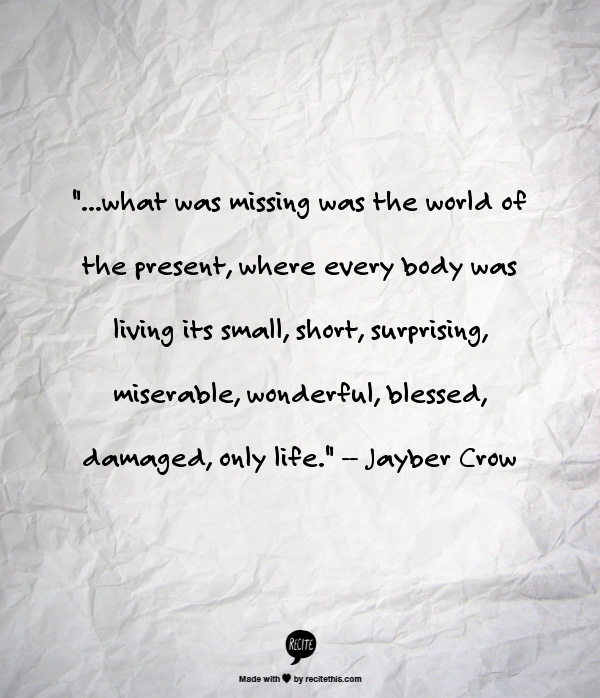 In either case, her writing -- especially her description of people -- delighted me throughout. I happened to listen to the Writer's Almanac podcast on June 21 which, unbeknownst to me, is Mary McCarthy's birthday. The brief bio they chose to highlight her work included a professional spat McCarthy held with playwright and memoirist Lillian Hellman, famously declaring on a televised talkshow, "Every word she [Hellman] writes is a lie, including 'and' and 'the.'" I now better understand Ms. McCarthy's apparent compulsive need to differentiate between truth and fiction in her own memoir. 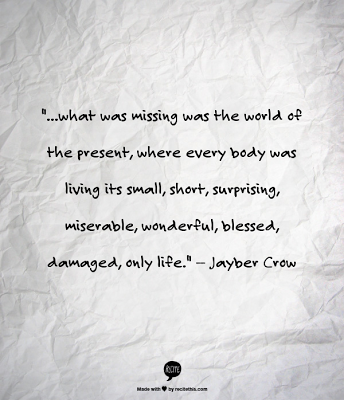 I also made you a quote print. We splurged a little bit with back-to-back blockbusters to kick off the summer: Iron Man 3 and Star Trek Into Darkness. I guess I should confess that I've never watched even an episode of Star Trek. But my family are all mid-level Trekkies so I figured it was time to jump on ship. You know what? After the stress of moving and finishing school, a night sharing popcorn up and down the theater row watching a variety of good-looking species save other planets and each other is a pretty good thing. A few evenings when I was too tired to do anything else, I vegged out with a Freaks and Geeks marathon on Netflix. I don't know how I missed the show in 1999 (oh, I know! I had four kids under the age of 8 and probably fell asleep by that time of night). I'm so glad my son suggested I might like the series; best suggestion my kids gave me since my daughter told me I might like this little band called Mumford & Sons. 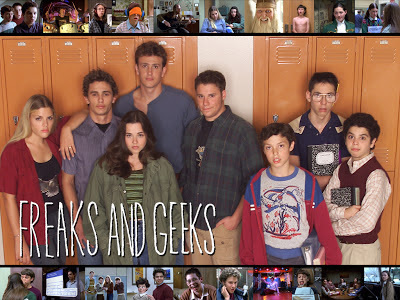 I was only 9 in 1980, but all the highschool cousins and schoolmates I idolized were the exact age as James Franco, Seth Rogan, Jason Segel, Linda Cardellini and Busy Phillips' high school characters and the story lines are spot on. The clothes, the hair, the sound track, the new microwaves and Ataris all take me back in the best of ways. 4. Final week of photo stories to Practice Resurrection + final 2 print giveawayf from PJeanArtMachine! 3. 7 quick takes: Mother's Day! Father's Day! 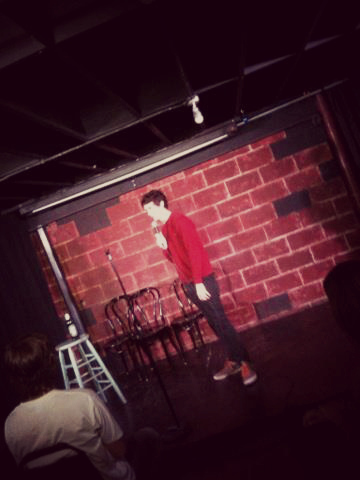 New drivers, short shorts, stand-up comedy and more! Must be the secret to blogging is getting your kids to write posts for you? Thank you, again, son! unpacking the last dozen boxes sitting around our house & filling up my great-grandmother's glass-cabinet bookcase that just arrived to us from New York! So, what about you? What's in your book pile? What art, film, song has captured your imagination? What are you pinning or cooking or planning? 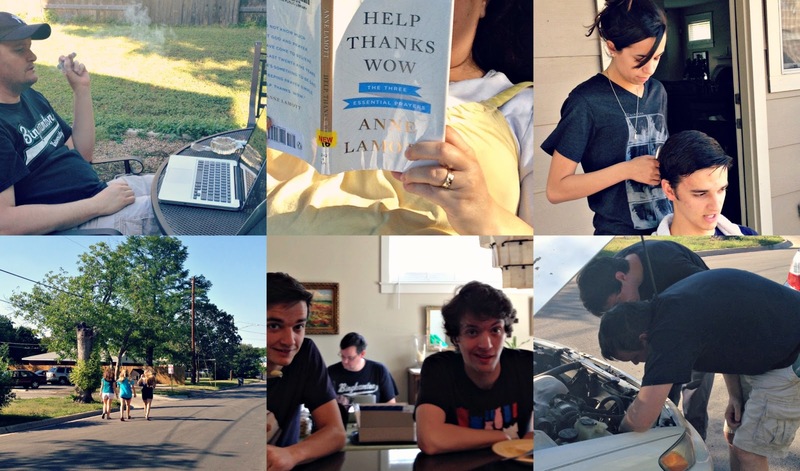 For more “What I’m Into” posts, head over to Leigh’s blog. I entered Ordinary Time the same weeks I packed and moved our family for the third time in two years. In two years' time we've moved across the country, fought to keep our budget alive after my husband's layoff in 2010 and the subsequent expenses of raising four children in the expensive highschool and college years, looked for jobs and found jobs, homeschooled my daughters for our first year in Texas, helped four kids and my husband find the right education pathways, began writing for publication, entered a new state, city, and church community, became confirmed in the Anglican church, had various health problems and a minor surgery which felt anything but minor during recovery, led four consecutive sessions of ministry for those who've been relationally and sexually wounded, watched a new, dear friend die from cancer, learned how to relate to family and friends from a long distance and how to make new friends in a new place. I am exhausted in every way it is possible to be exhausted. 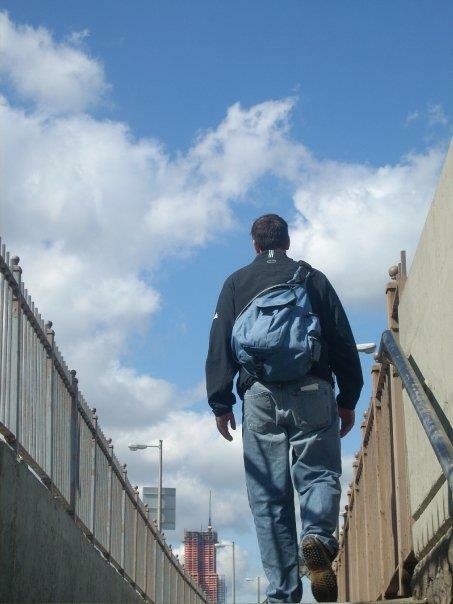 On its own parenting, four kids at desperate, delightful, discovering and demanding ages of 15, 17, 19 and 21 would wear me out. Add the rest and I'm on the crackling edge of breakdown most of the time. I am begging God for rest. He promised it. He said if I come to Jesus, He will give me rest. I'm trying to listen for the words I've not heard yet to solve this riddle. For right now, the only answer I have is to say no unless I know I'm supposed to say yes. I'm going to say no to almost everything this summer. Of course, my yes to Brian, my kids, and for now, my job are a given. Thanks be to God for the grace that makes room for me to say no to so many good things. On the blog, I'm thinking that means I'll show up here when it fits into the rest I'm so desperately seeking. If it crosses your prayerful mind to lift me to the Father, I'd gladly receive your gift of intercession. You have been dear to me for seven years. I am blessed to share this space with you. May God receive pleasure from my trusting in Him for rest. May He, through His Son and by His Spirit, make it so. I'm so glad to be your daughter.